Is Windows Phone falling behind on hardware without dual core and NFC? 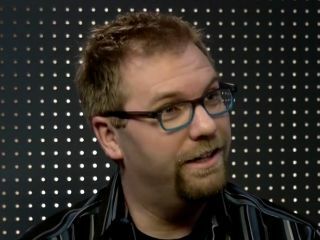 Just having the specs doesn't make a good experience, Microsoft's Aaron Woodman told us at CES. "If you look at Android, you see the greatest time to market advantage, just because there's greater flexibility in some of what the OEMs can do, but it doesn't always execute as great quality. The first several dual core devices actually didn't even use the second core. "They didn't really expose that second core to ISVs and even today not a lot of ISVs actually optimise for dual core systems. But they sure as heck put it on the back of every box and on the placard and consumers make choices [based on that]. "We've decided to focus our energy on hardware optimisation. On a single core, I feel like we have better performance than a great deal of the dual core devices out there without having to sacrifice or balance things like battery life." What about NFC? "It's definitely something we're evaluating as part of our roadmap," Woodman confirmed, "and the question will be what we do in software to bring that to life. That will be a highly curated design and it will be high quality and it will be consistent with the user experience." New features like NFC and wireless charging and other advancements will come faster now that the operating system is more mature, says Woodman. "Even a year ago when we first brought the product to market we still had some key gaps that we had to cover to get competitive and that's taken a lot of time. I feel like we're there now, so that frees up resources to look at those innovative pieces. "And Nokia has now said 'all of my innovations that I can think of that will differentiate me at the hardware level will be focused on this platform'; that's going to bring a great amount of innovation." Nokia won't be the only partner adding new hardware features, but their commitment has made a supporting more features worthwhile. "It's going to push us to start to prioritise some of those innovations with hardware that we might have deprioritised because we weren't sure whether we would see a hardware partner take advantage of it in that time frame." Microsoft will still pick and choose which new hardware features it supports. "You can expect us to do great innovation at the hardware level and at the software level and at a faster pace but we will still come back to prioritising something that's meaningful to end users and not just shoot for the new. I saw an Android phone that has a '3D without glasses' screen. Well, that's definitely cool! "There's no doubt about it. I'm not sure how useful that is especially in a model where you still have to touch the device and now you have a 3D thing and that makes it difficult to build a user interface - but it's really neat. So we're focused on trying to find the centre of those pieces." And faster isn't likely to mean first. "I don't think we will always be the fastest but I don't think we have to be to be competitive." Group product manager Greg Sullivan agrees. "It will remain true, just by dint of the nature of Android's model, that they'll probably continue to have a time to market advantage for certain things. We're not going to put lot of emphasis on being the first necessarily; it's more about doing the right thing." For now, Woodman is visibly excited about the HTC Titan 2. "A 16 megapixel camera! I paid two grand for a dSLR a couple of years ago that's not even that [resolution]!" No matter how many juicy details we brought up from Windows Phone job adverts, Woodman wouldn't drop any hints about Tango or Apollo, except to say that the Metro look isn't going away. "I think the design motif that we built has a lot of legs. I look at Apple and Android today and I think they're starting to hit some of the edges of their design motifs. We have this design principle that says we should be authentically digital; this faux leather idea - let's just not kid ourselves and let's just be great at what we are. That layer of consistency is so thorough in our product. "iPhone recognised the value of the camera hardware button and trying to do that above the lock screen, but as soon as you get into the software, past the lock, it transitions to a different mode... The design language itself is going to find limitations." Some things will change, of course. "We will always have to evolve - this an incredibly scary competitive space. There will always be challenges with backwards compatibility, but that's the price of innovation." And that's why when Microsoft is ready to talk it's the developers who will hear first, so users get the best apps. "We will communicate first and foremost with developers, even at the risk of hurting some of our consumer pop. In a perfect world, there's such a value of announcing and displaying a product [when it's available to] purchase and in a perfect world that's exactly we would do with phones - but we prioritise developers. "We are absolute dependant on developers falling in love with the product. It's so important to the value we ultimately deliver to the customer that they're always first and we will continue that kind of disclosure and transparency. I feel like - lots more than any other vendor out there – we have been more transparent. Whether that's the Marketplace principles or when and how updates are going to roll, we've been totally open." And no, there's no change about announcing updates (and no conspiracy with the carriers), Greg Sullivan confirmed. "Folks got a little alarmed by the blog post but there is no change in policy. We have always worked with carriers to test updates. "There's no change in how we're doing it – and our track record is pretty darn good. The fact that there are multiple packages coming, some of which are firmware specific to a given device and we're having all these more pops… For the maintenance releases that we've got coming it didn't make sense for us to continue to maintain this big table." He was happy to admit that the table was only needed to recover from the problems with the Nodo update. "It really was a necessary evil because of some of the delay in rolling out Nodo, frankly. If we hadn't had that, we would have gone right to Mango; Mango shipped in a very compressed timeframe, there was no need for the table. Because there was some angst and people wanted Nodo and it took a long while to get it out, we had to come up with a solution. "We solved that underlying problem in the Mango timeframe and now, especially because we're going to these maintenance releases - some of which apply to your phone and some of which don't - it doesn't make any sense to keep updating the table." It all comes back to those priorities and principles, says Woodman. "One of the things I feel so proud of on Windows Phone is the sense of accountability for the end users and it screams in the quality of the device. As an employee it gives me such freedom to make an argument that is about end user quality. And that doesn't always happen in big companies because you start to prioritise things like revenue share and all these things that get in the way." And if those priorities mean taking longer to get a feature right, so be it, he says. "That sometimes puts you at odds with actual sales when you're making choices to take more time or do things slower because you have a certain bar to reach. We care about 'are things going to be beneficial to end users?' That's the stick we evaluate things with."